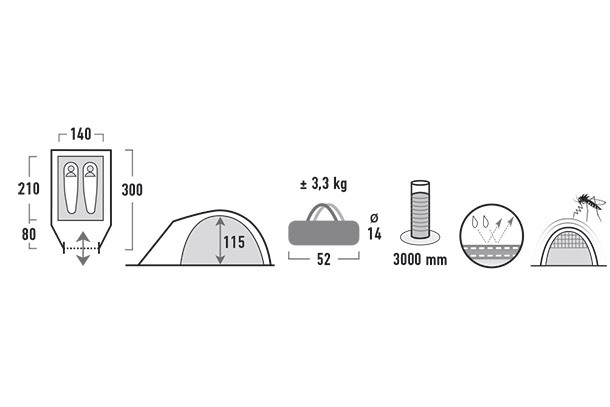 Dome tent with porch. The porch feature storage space and keep rain out of the inner tent even under heavy wet condition. The front door is easy to roll and fix to the side. Permanent ventilation. Durable and strong 5mm steel pin pegs and hook pin pegs for the guylines do not bend on hard ground. High visible red tent poles, guy lines and tape around the tent. Inner tent with Vario Vent Control System. 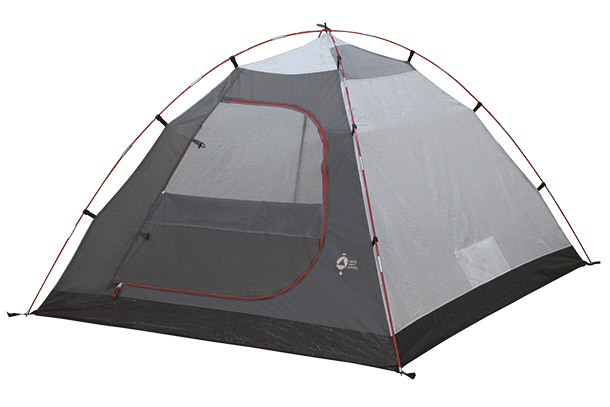 The mesh part keeps bugs out of the inner tent. Inside zippered flap easy to adjust and packs neat into the easy stow away pocket. Two permanent top mesh panels for more ventilation. Inner tent feature lamp holder and pockets. 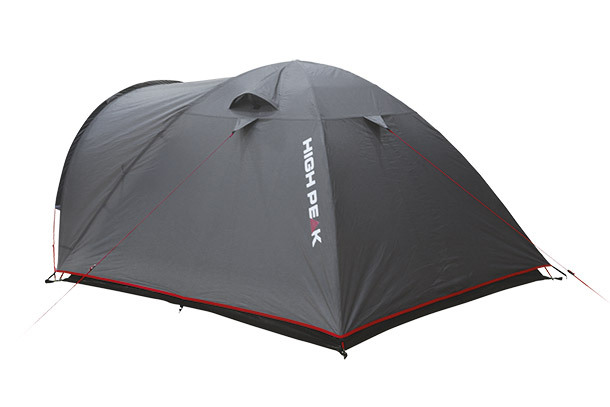 Quick and easy to pitch ideal for weekend camping with friends. 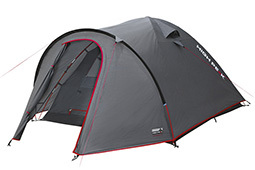 Great value tent.